From Old Testament History springs New Testament hope. Located in Arnold, MD, New Hope Chapel is a vibrant church, with Biblical-based teaching. Listen to a variety of teachers as they open God's Word in a way that's both profound yet easy to understand. 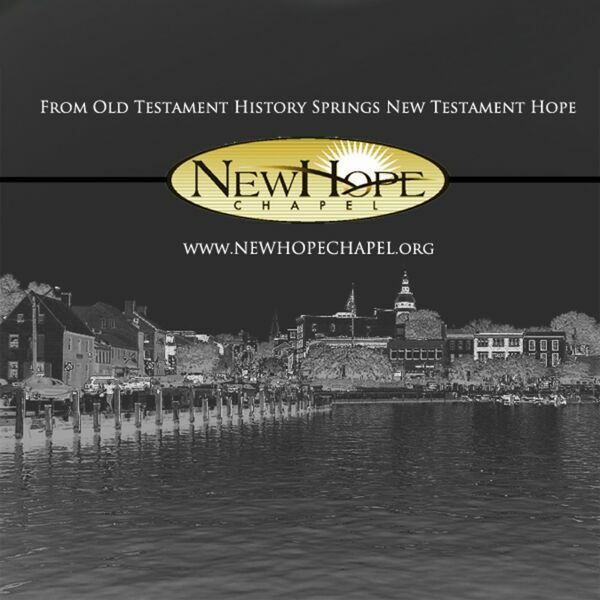 To learn more about New Hope Chapel, please visit www.newhopechapel.org. How well do we see? Bartimaeus was blind but he saw Jesus. Joanne Hagemeyer reviews the events in this chapter and reveals how they lead to Bartimaeus and his faith. Julie Coleman continues our study of Mark. What does Jesus reveal to us concerning divorce? Listen as Julie explores this difficult and controversial subject for the church. Dr. Bill continues our Advent series with a message focusing on Jesus the King. We associate a king with power. Listen as Bill shares insights into the kingdom of Christ. How do our failures affect our relationship with God? What does it mean to deny Him or be ashamed of Him? Listen as Julie Coleman reflects on two difficult passages in Mark. Who or what is your ‘Herod’? Who has hurt you? Listen as Bill Smith reveals what Mark is saying about Jesus in this passage about Herod and John the Baptist. Mark continues to reveal the truth of Jesus. Listen as Dr. Bill Smith shares insights about the demon, the possessed man, and his healing. Have you ever been confronted by a truth that changes everything? Listen as Steve Coleman shares how Mark reveals life-changing truths about Jesus, the Sabbath and the Pharisees. Mark challenges his readers to realize the full importance of Jesus. Listen as Steve Coleman reveals the next truth in Mark, that Jesus teaches and speaks with authority and power. Today we begin a new series on the Gospel of Mark. Julie Coleman introduces us to the ‘big reveal’ that fulfills the Old Testament and proclaims a new beginning for us all. All content © 2019 New Hope Chapel.